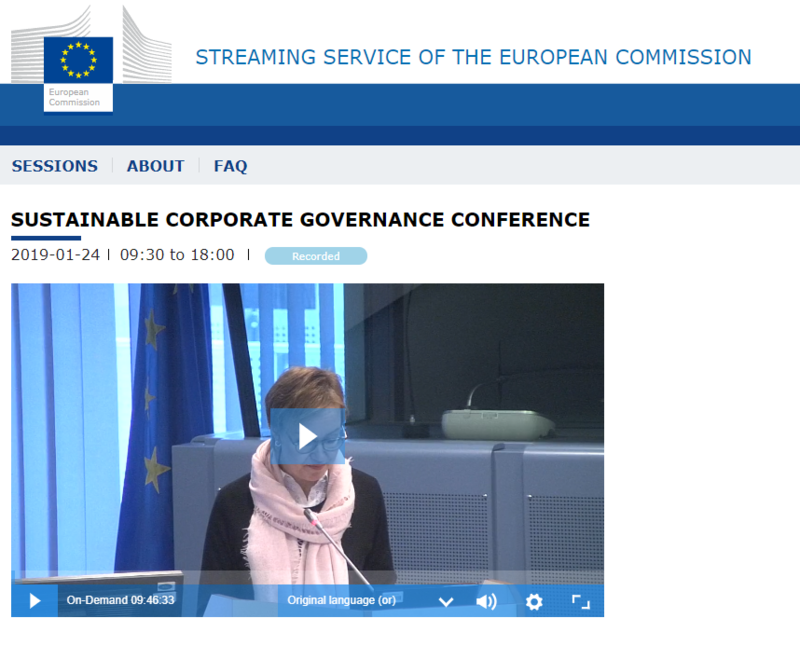 On Thursday 24 January, Olivier Boutellis-Taft took part to the first panel of the European Commission conference on Sustainable Corporate Governance. The event was organised by DG Justice stemming from the Sustainable Finance Action Plan (Action 10: Fostering sustainable corporate governance and attenuating short-termism in capital markets). The event brought together policy-makers and relevant stakeholders to discuss recent policy developments in the field of corporate governance with a focus on sustainability and due diligence. It aimed to also provide an opportunity to exchange ideas on how foster more sustainable governance as announced in action 10 of the Action Plan on Financing Sustainable Growth. The event was live-streamed and the webcast is available here. More on our work on good governance and sustainable economy.